Kenya promises an unforgettable travel adventure, boundless wilderness with breath-taking landscapes and natural beauty preserved and untouched through the passage of time. Kenya promises a new adventure amongst travelers. Its natural beauty and vast landscape is something to be appreciated and looked forward to. For wildlife enthusiasts, Kenya is an ultimate destination. Taking a wild safari in Kenya is a wonderful experience. It is truly travel to nature at its finest with many species to discover and wildlife to explore. Exploring Kenya can be both a journey to the wild and to the city, from roughing it out in the mountains, deserts and wilderness to a diving experience to the seas and having a unique dining experience in the forest or coast. The choices for travelers are endless. You can explore the Kenya by 4-wheel drive, lose yourself in the herds on horseback, track a Rhino on foot with a safari guide or dive into a coral reef teeming with life. Kenya safaris offer a high degree of flexibility taking in Kenya's full range of accommodation options ranging from temporary fly-in camps to luxury lodges but more importantly enable far greater access to areas affected by constantly changing seasonal patterns or game movements of Kenya. Wake up to the sounds and smells of Africa, take a refreshing bush style bucket shower or a luxurious hot bath and enjoy your vacation with a cup of coffee before departing on your early morning game drive. Enjoy a breakfast picnic in the bush whilst observing game at a waterhole. Package Safaris include game lodge or camp accommodation at luxury or exclusive properties. Experience the highlights of this vast country on a Kenya safari tour package that takes in most the highlights including Samburu, Mount Kenya and the Maasai Mara. Safari Tours are longer journeys with scheduled departures. Here in a country that will steal your soul as soon as you arrive. Discover and experience the awe of the early explorers in the shadows of Africa's highest mountain. Kenya Game Lodges: Set in beautiful game-rich areas, some are luxury game lodges or luxury 'meru' style safari tents, while others are exclusive bush camps. Live in style, and indulge in exceptional service and superb cuisine. Kenya Hotels and Resorts: Private beach villas and distant island beach lodges beckon. The best way to cool off after a long, hot safari, lazing your days away on the ocean, or the beaches. 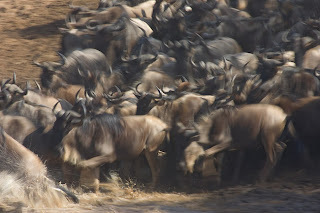 Kenya is famous for it’s safaris and National Reserves. One of the best Kenyan travel itineraries is a 7-day safari that features 3 major reserves: Samburu National Reserve, Lake Nakuru National Park, the Maasai Mara Game Reserve with an overnight accommodation in the Ark Lodge or Treetops Lodge or even Serena Mountain Lodge, a tree hotel along the area of Aberdare Ranges and Mount Kenya. Each day promises an adventure any open-minded traveler will never forget. The itinerary aims to cover the best of Kenya with a variety of other options that include drive games, traveler’s own picnic in the wild and an opportunity to have an actual view of the Big Five known as the lion, leopard, buffalo, elephant and rhino. Optional activities include exploration of the local Samburu Village, a guided walk in the nature and camel riding. The itinerary also gives travelers the rare chance of seeing the rare species such as reticulated giraffe, Grevy’s zebra and blue neck Somali ostrich. Such is truly a rare experience of a safari at its best. Depart Nairobi, the capital of Kenya, at 07:30am to Masai Mara through The Great African Rift Valley and Narok Town. Arrive in time for lunch at your preferred lodge to include leisure. An afternoon game drive will follow to explore Hemingways country and Lion, Cheetah, Elephant, Buffalo and other animals of the same order. Stay at Mara Sarova Camp, located on the southeast boundary of the Maasai Mara on a natural hill between two streams. Spacious tents have private terraces and hardwood floors, and are complete with electric light, flush toilets, and hot water. Enjoy a dip in the large pool, or an evening lecture with local Maasai guides. 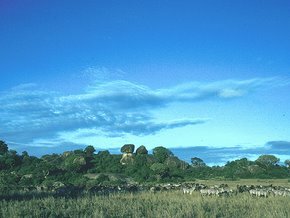 Area activities include game drives and nature walks with resident Maasai naturalists in nearby areas outside the reserve. Dinner and overnight stay at Sarova Mara Camp, L,D. This natural wonder of Masai Mara is to be explored now which includes the extensive plains which include not only the well known predatory animals but also with Zebra, Wildebeest, Giraffe, Hippo and the dangerous Crocodiles. Breakfast, lunch, dinner and overnight at Sarova Mara Camp, B,L,D. Depart to Lake Nakuru National Park to arrive in time for lunch at Sarova Lion Hill Lodge. Set on a plateau in an elevation above Lake Nakuru, Sarova Lion Hill Game Lodge has 67 chalets all overlooking the lake, within the Lake Nakuru National Park . It is the perfect place to experience one of the world's largest ornithological spectacles, The Pink Flamingo, or a rich concentration of wildlife including black and white colobus monkey and is also a famed Rhino Sanctuary. In the afternoon proceed on a game drive in this famous ornithological spectacle for flamingoes. Dinner and overnight at Sarova Lion Hill Lodge, B,L,D. Distance: 190 km (3 hrs.). Breakfast at the Lodge. Continue with a drive via the Nyahururu Falls, formerly Thomson Falls, to the Aberdare Country Club. Lunch at the Club. Afternoon transfer into Aberdare National Park and on to The Ark Lodge for bird watching and overnight floodlit game viewing from the lodge viewing decks. Ark Lodge, set in the heart of the Aberdare National Park, is an unique tree lodge with a veranda that overlooks a floodlit waterhole and saltlick allowing undisturbed views of wildlife visiting the waterhole. Elephant, rhino, leopard, bushbuck and occasionally an elusive bongo and giant forest hog have been sighted. The 60 guest rooms are all en-suite. All cabins have private bathrooms with shower, and are comfortably furnished with bedside lamps and carpeted floors to ward off the evening and morning chill. Resembling and named after Noah's Ark, The Ark Tree Lodge is designed with 'decks' from which numerous balconies and lounges provide superb vantage points for game viewing. A ground level bunker provides excellent photographic opportunities and takes you closer than you would believe possible to the wildlife. Dinner and overnight at The Ark Lodge, B,L,D. After breakfast, return to the base hotel. Reconnect with your driver for a drive north through the Equator to northern frontier district to Samburu National Reserve. Afternoon game drive in this reserve famous for its exclusive game viewing. Dinner and overnight at Sarova Shaba Lodge,B,L,D. Full day of game viewing drives in this dry semi-arid park with its striking background view of the Mathew's Range. The gently flowing Uaso Nyiro river which traverses this Park provides evergreen vegetation for the rare gerenuk, Grevy zebra and reticulated giraffe found in this park. All meals and overnight at Sarova Shaba Lodge, B,L,D. After breakfast, drive back to Nairobi with an en route lunch, where the tour ends, B,L. Children below 7 years are not admitted at the Ark Lodge and/or Treetops Lodge. Only an overnight rucksack is permitted at the tree lodges owing to limited space in the cabins. Excess luggage is stored at the base hotel. Travellers are advised to pack warm clothing for the Aberdare National Park since nights are pretty chilly. The above itinerary may be rerouted to operate on the reverse direction in which case the price remains unchanged. A travel tour to Kenya gives travelers and nature-enthusiasts an appreciation of nature’s beauty and abundance as well as the rich world of wildlife. Furthermore, Kenyan adventure safari is a taste of something out of the ordinary - an experience of wonderful tourism, culture, nature and excitement fused in one unique adventure.